This week I finished reading my first (grown-up) collection of short stories. It’s something I don’t usually do but since the collection in question is Jigs & Reels, the only Joanne Harris offering I had yet to read, I thought I’d have a go. I don’t know exactly what it is about short stories that always stops me picking up a collection. When I was at school I read The Signalman by Charles Dickens and Lamb to the Slaughter by Roald Dahl and I enjoyed them both but somehow the fact that the tale doesn’t take chapters and chapters to unfold makes me feel like it isn’t worth the effort. This might sound strange but I have to say that I did find it exhausting at times reading J&R. I like to get really into a book, to care about the characters and take the time to get to know them and anticipate where the story might take them. With a narrative that finishes in a few pages it’s impossible to do that and meeting new people in new situations every twenty minutes or so I did find mentally tiring. However I’m not being negative here, I really enjoyed reading Jigs & Reels; there were some genuinely touching stories such as Hope and Faith Go Shopping, some funny tales (Class of ’81) and some which made you stop and think (The Spectator). The brief introduction to each story gave you an idea of how it came about and what it meant to the author which was a nice personal touch. It was the stories featuring an older protagonist which were my clear favourites including Hope and Faith and Breakfast at Tesco’s mostly because Harris writes older people so very well. By far my favourite character in Chocolat was Armande and the spirit and defiance she showed were also present in the older characters in J&R. They are a joy to read and Hope and Faith which is the first story in the book left me not knowing whether to laugh or cry. Other stories weren’t such a triumph, Gastronomicon made me smile a little but it was a bit too abstract for my taste and there was one other (which I won’t name) that I had to stop reading because I couldn’t follow what was happening. However these were the only two slightly bum notes in an otherwise brilliant collection of 22 tales. Even the narratives which had a political message (which I often find laboured and unappealing) sparkled with wit and were executed in such a way that you don’t get the full force of the message until the last minute. 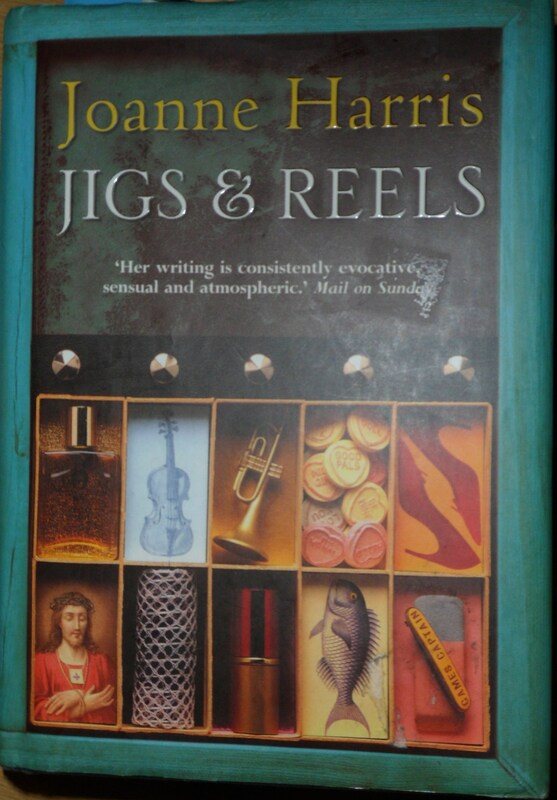 So although I would hesitate to say that I’ve been converted to the way of the short story, Jigs & Reels will remain on my bookshelf and even if I don’t read the whole book again some tales stand out as regulars who I will revisit time and again for the charm and humour that is so intricately woven into all of Harris’s books. One of my favourite things about being a literary Londoner is that every so often a location pops up that I am now familiar with. Of course there are the classic examples of Baker Street and Brick Lane but I’m talking about some of the more obscure locations that I’d never heard of before moving to the big smoke which are the ones that give you a real thrill. The first time I came across this was when I was reading Emma by Jane Austen and she described the tiny village of Islington and how long it would take to get from there to London. Of course this was the London of several decades ago but I was still surprised to find how much London has changed since Austen’s time (Islington being a central part of London for anyone who doesn’t know). Also in Emma the heroine’s sister Isabella Knightley (née Woodhouse) lived on Brunswick Square which still looks like a Georgian residential area (although it is now the UCL School of Pharmacy and adjacent to a 1970s shopping centre). Most recently I read Affinity by Sarah Waters, a novel about mediumship and Millbank prison (Millbank being somewhere I recently visited as a potential spot to watch the jubilee boat pageant from, the prison having closed in 1890). The medium in question who was resident at Millbank for half of the novel previously lived at Cheyne Walk in Chelsea and before that at a hotel in High Holborn which was located on Lambs Conduit Street. This is the one that gave me the biggest thrill. I currently work just round the corner from Lambs Conduit Street and have bought my lunch from shops there many a time. And of course one of the major players in London life and therefore in London literature is the tube (and after all that is partly what this blog is about). 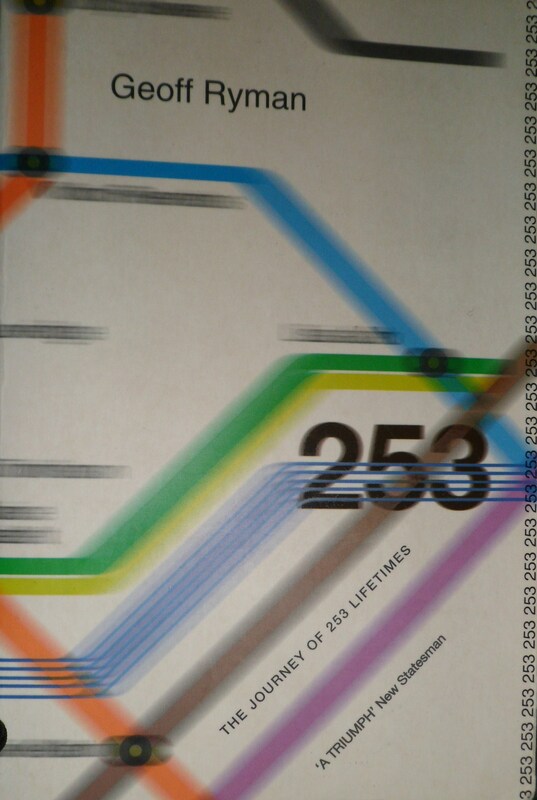 So to reflect that I’m going to finish by mentioning a fascinating piece of writing – 253 by Geoff Ryman. This is an incredible feat which contains 253 words on each of the 253 passengers o n a Bakerloo line tube train travelling from Embankment to Waterloo on 11th January 1995. The novel, if you can call it that, was originally posted in an online format (you can find it here) but was then published in a more conventional form and is apparently very difficult to find. It describes what each of the passengers look like, what they’re doing/thinking and a little of their history. The work taps into the mentality of everyone who’s ever used any form of public transport and looked around them making judgements on the people sitting by them and wondered what they’re thinking or where they’re going. A fantastic and highly imaginative piece of literature which I can’t recommend highly enough. So here’s hoping for many more years of locations springing out of the pages and into real life. All I really need is for someone to set a novel in my home town and I’ll die happy.